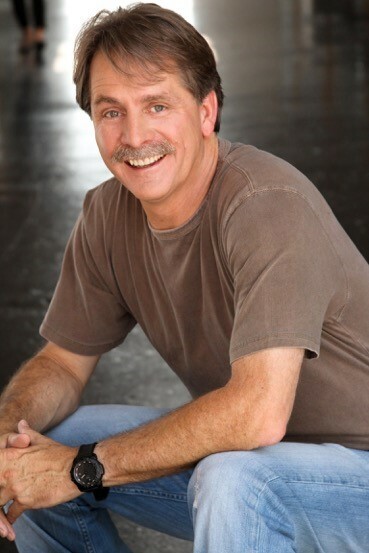 HIGH POINT, N.C. — (March 13, 2018) — Comedian Jeff Foxworthy will visit Spring High Point Market, April 14 – 18, to launch The Jeff Foxworthy Home Collection for Man Wah Cheers (FP 410), joining a noteworthy list of new and expanded showrooms in International Market Centers’ Main Street properties. Foxworthy noted that the partnership with Man Wah Cheers aligned with his personal and professional philosophies. Centrally located in the heart of High Point Market, Main Street properties include Furniture Plaza, Plaza Suites, and the National Furniture Mart. For Spring Market 2018, new and expanded and/or relocated showrooms include: Man Wah Cheers, Canal Dover (PS412), Amax Leather (FP215); Chintaly Imports (FP214); Global Home (PS410); Decor-Rest (PS212); and Moto Sleep (NFM9). Decor-Rest is launching new motion upholstery and dining collections for Spring Market. Marzilli said that the introductions reemphasize the company’s growth. Powell is celebrating the company’s 50th year of business with a Golden 50th Anniversary Cocktail Party on Friday the 13th of April from 5:00 – 9:00 p.m. According to company officials, Powell will offer many “golden” specials during Spring Market. Overall, the Main Street properties include seven floors and more than 300,000 square feet of permanent showrooms, with a central escalator atrium for convenient access and ease of navigation. For a complete listing of exhibitors and showroom locations, visit: http://www.highpointmarket.org/ and click on “find exhibitors” in the drop-down menu. International Market Centers, L.P. (IMC) is the world’s largest operator of premier showroom space for the furnishings, home décor and gift industries. IMC owns and operates 12.2million square feet of world-class exhibition space in High Point, N.C. and Las Vegas, including the 14 primary buildings at the High Point Market. In addition, IMC operates the Las Vegas Design Center, a year-round resource open to both the design trade and consumers with more than 40 showrooms and hundreds of designer brands. IMC’s mission is to build and operate an innovative, sustainable, profitable and scalable platform for the furnishings, home décor and gift industries.